16-year-olds and under must be accompanied by an Adult or will be refused a pitch. PLEASE NOTE: We may refuse to allocate camping pitch to under 18’s without an accompanying adult. This is especially likely with groups of under 18’s. For 2017, we’ve added a charge of £15 per camping pitch (tent, caravan or motor home). This will help us cover the costs of the additional toilet facilities we’re providing and because spaces in the field are limited. The fee remains the same whether you’re camping for one night or five because pitches can’t be reallocated mid-way through the festival. 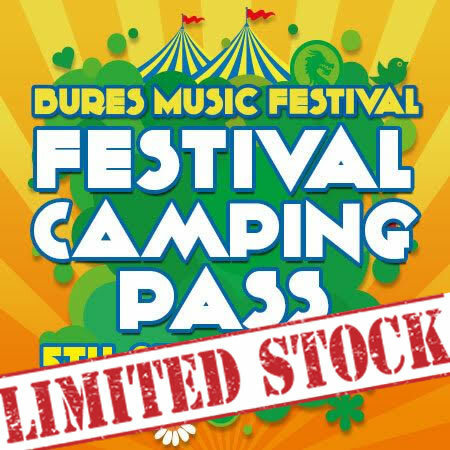 You’ll need your a valid festival ticket to cover the days your are camping. And it’s essential that you bring the camping pitch confirmation with you so you’re not refused a pitch allocation. Please do not arrive before 2pm on Wednesday 5th July and please leave the site on Monday morning at the latest. Each £15 Pitch covers 1 tent, caravan or motorhome.